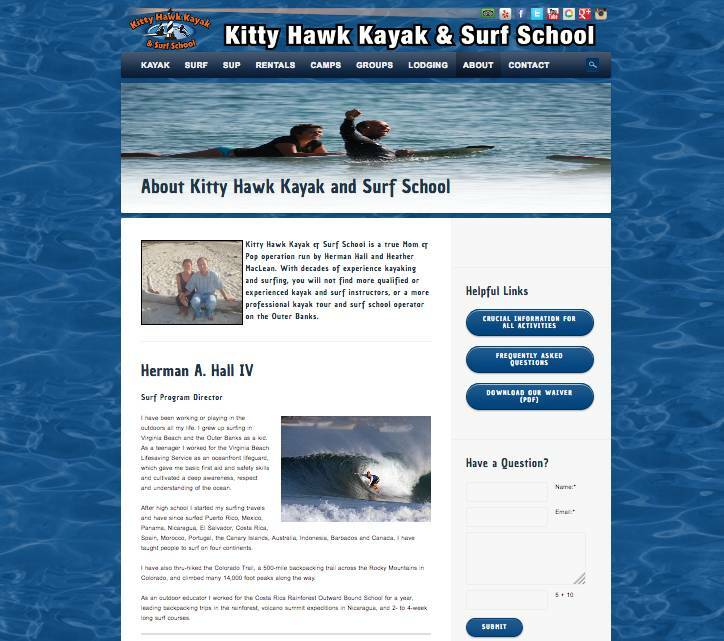 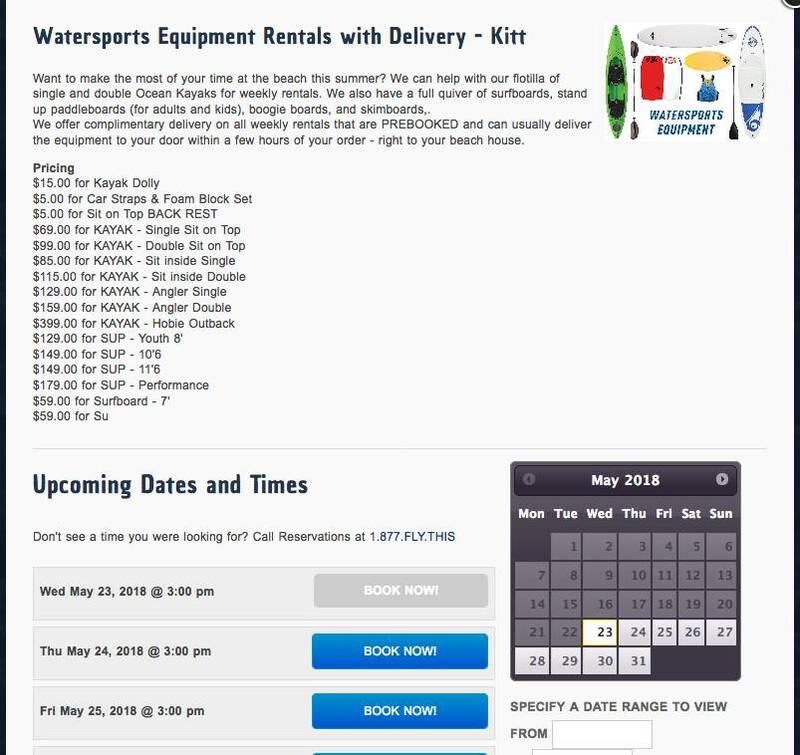 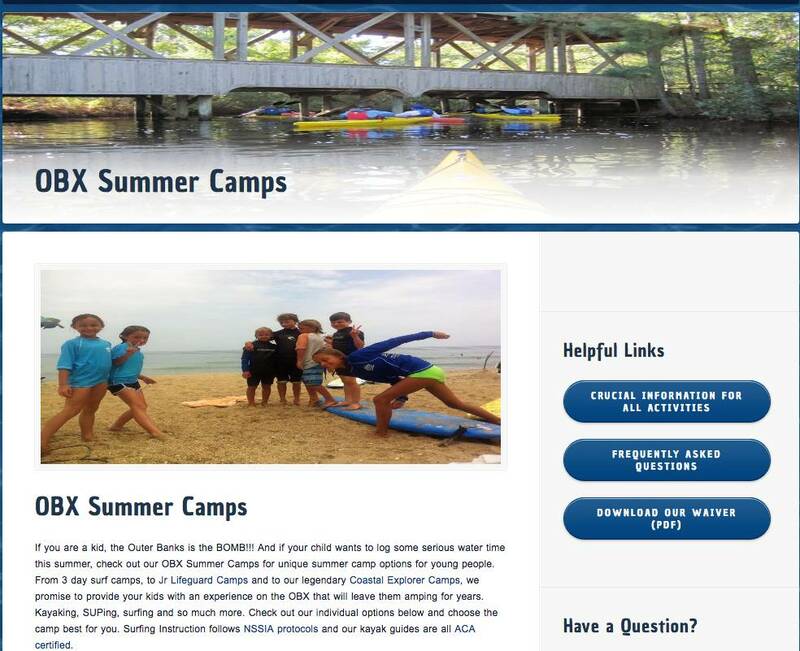 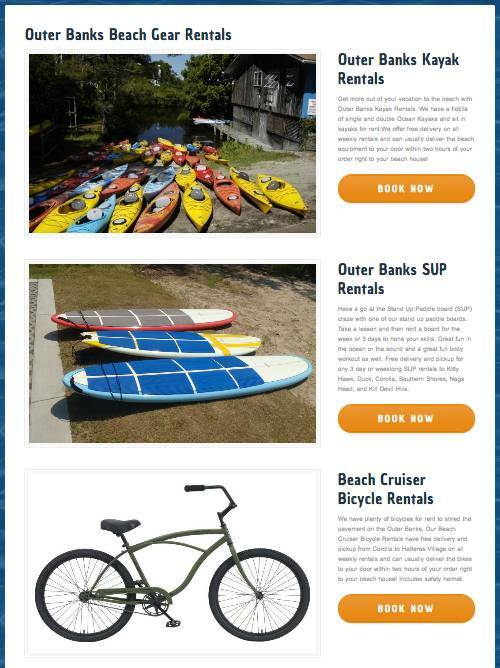 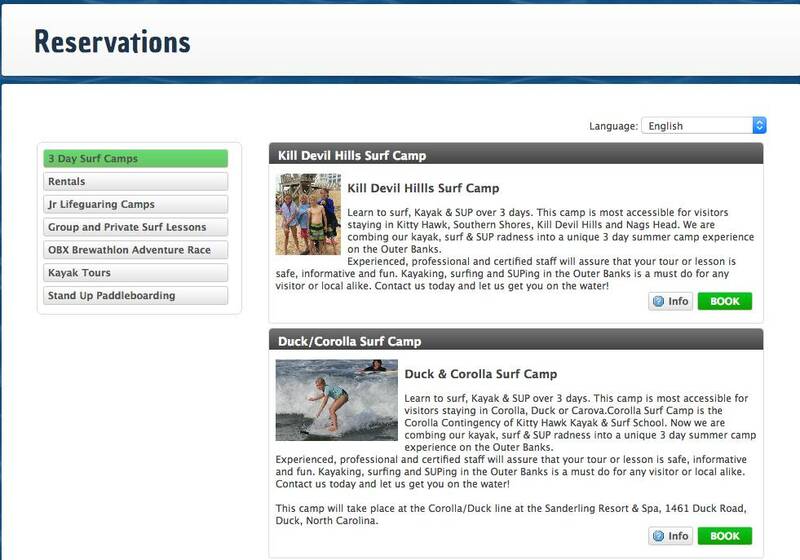 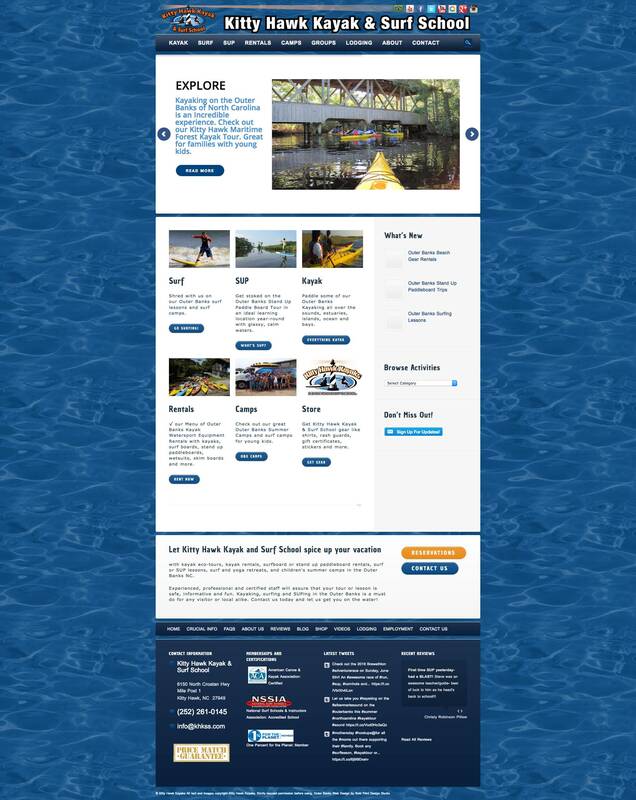 Kitty Hawk Kayak and Surf School needed a website where they could display all of the different services they have to offer for Outer Banks adventure seekers. 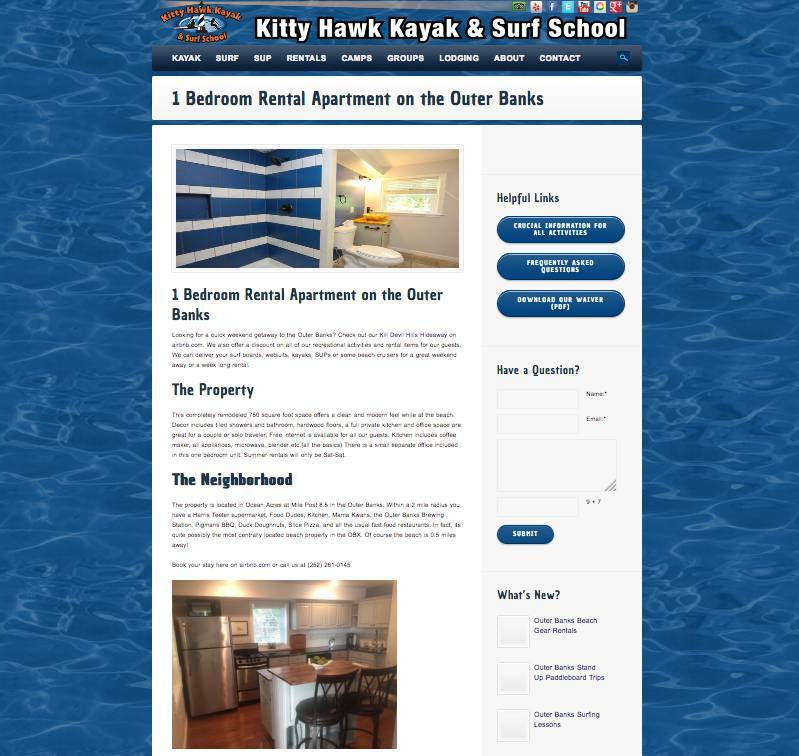 The owner is very active with updating the website so it was important that he be able to update their text, add images, display activity calendars, and post blog entries. 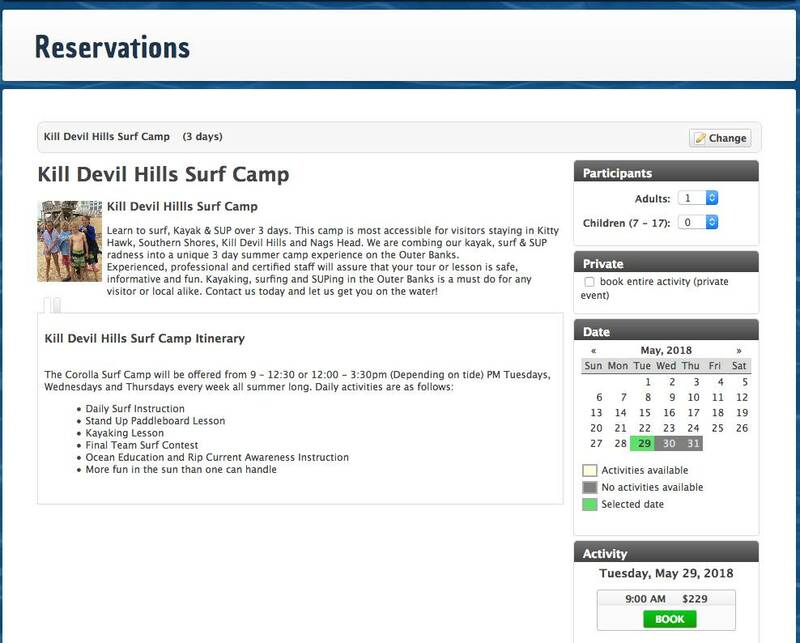 It also incorporates some retail sales for their t-shirts, rash guards and gift certificates. 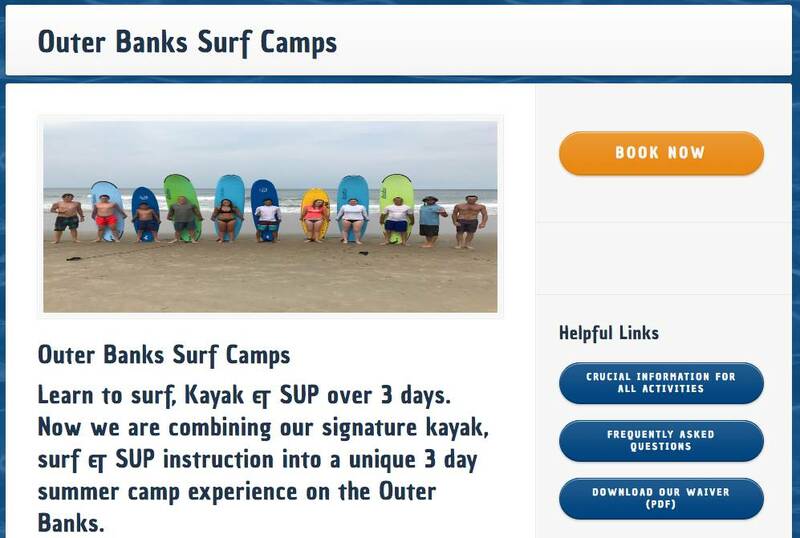 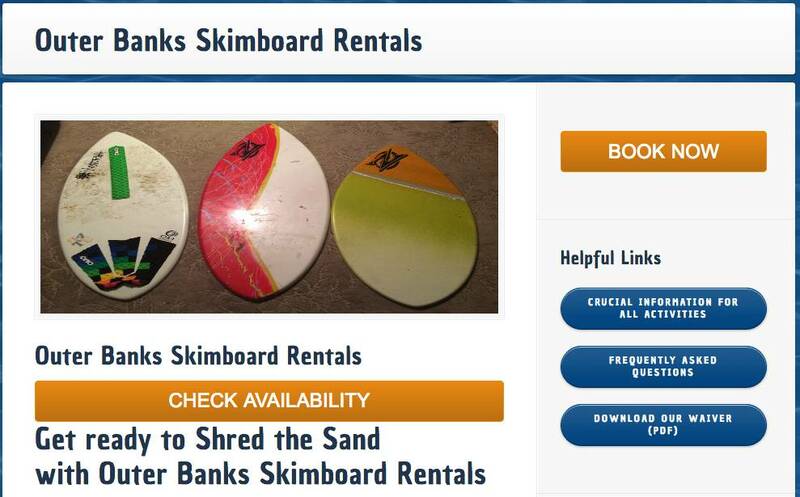 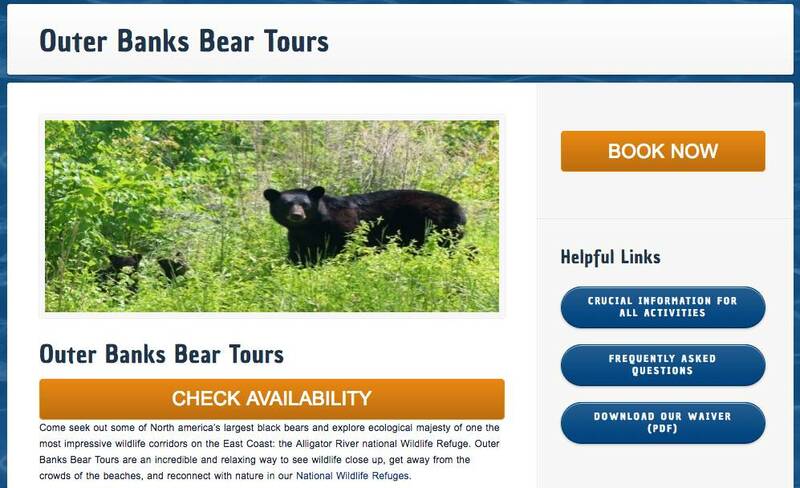 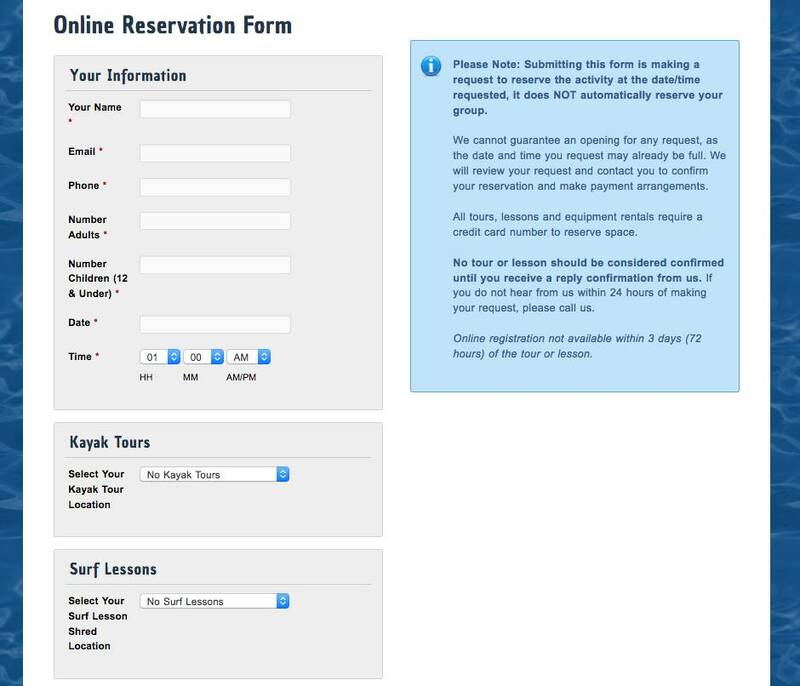 The website seamlessly integrates with a booking system so guests can book kayak tours or surf board rentals right there from the site. 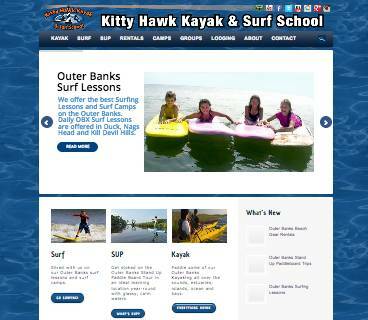 This site also features custom image galleries and an online registration form.